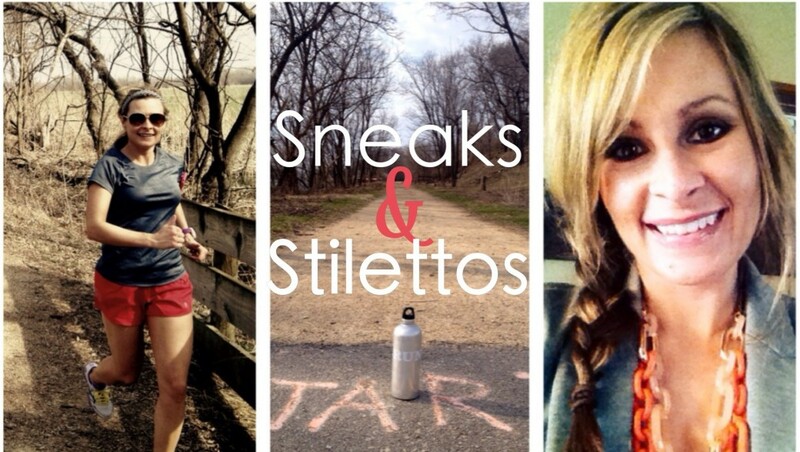 So this week I had spring break, hence the later than normal post…but here it is! One of my goals 2013 was to enjoy the simple things in life more. 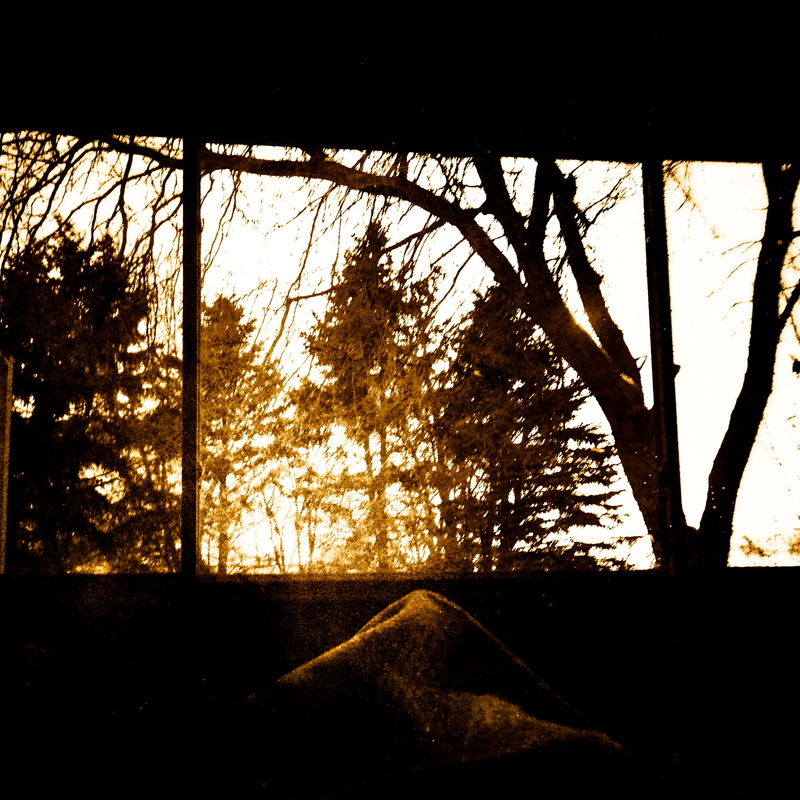 This week I took the time to sit and watch the sunset in my backyard from my family room. It was worth it. As I was driving home from watching my niece in Winona on Monday, I saw a gorgeous sunset over the lake and Mississippi River. 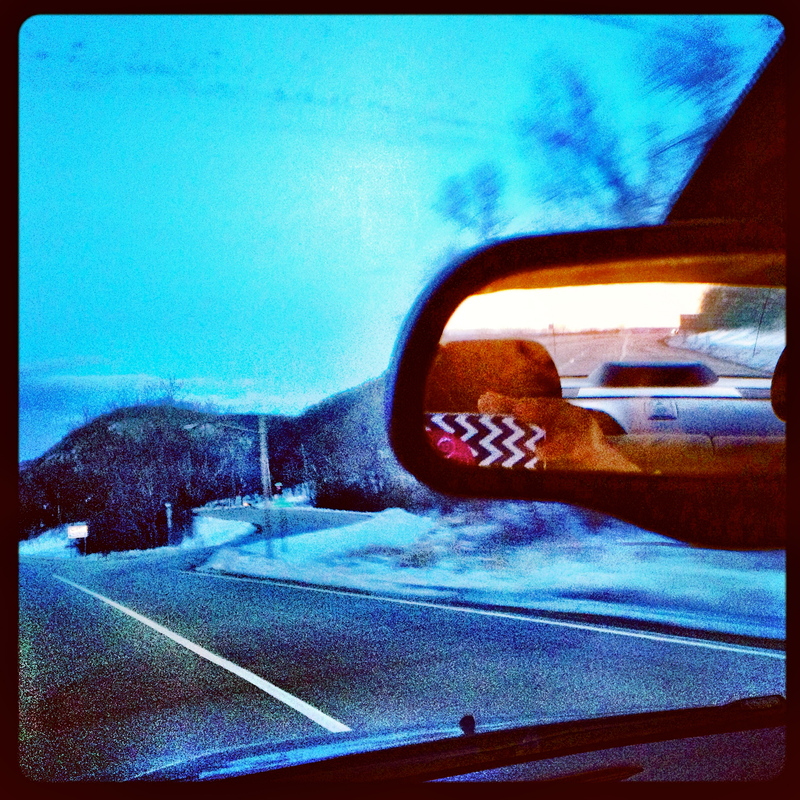 Ahead of me was night and behind me was the sunsetting. The picture does not do the view justice, but it was amazing. Again, the simple things. *Note-Probably not a safe thing. I came across this cool photo editing app this weekend. 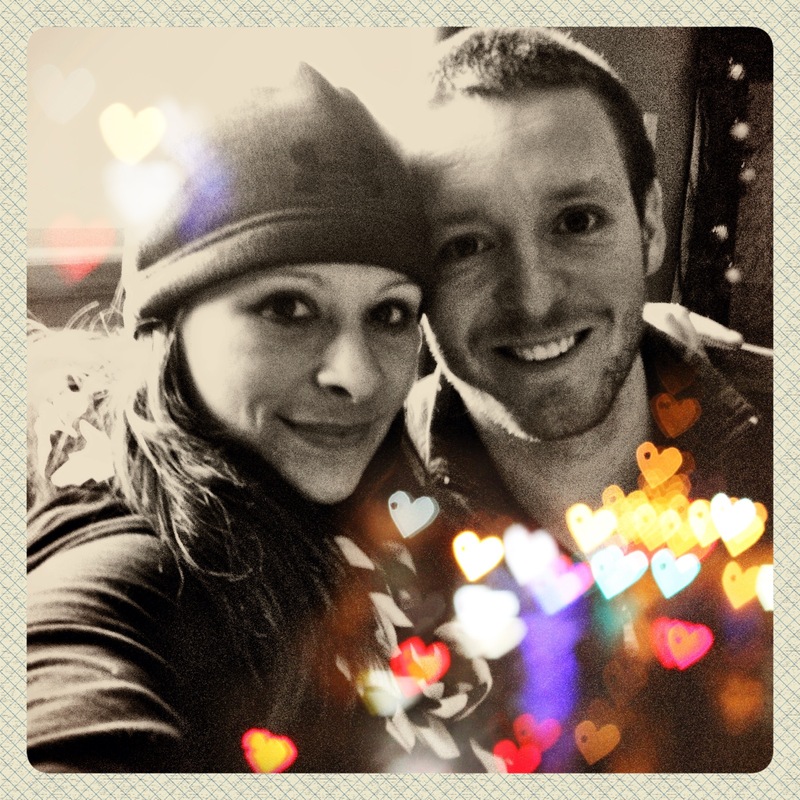 It is simple to use and has lots of unique and fun options to edit your photos such as the hearts in the above photo…awwww! 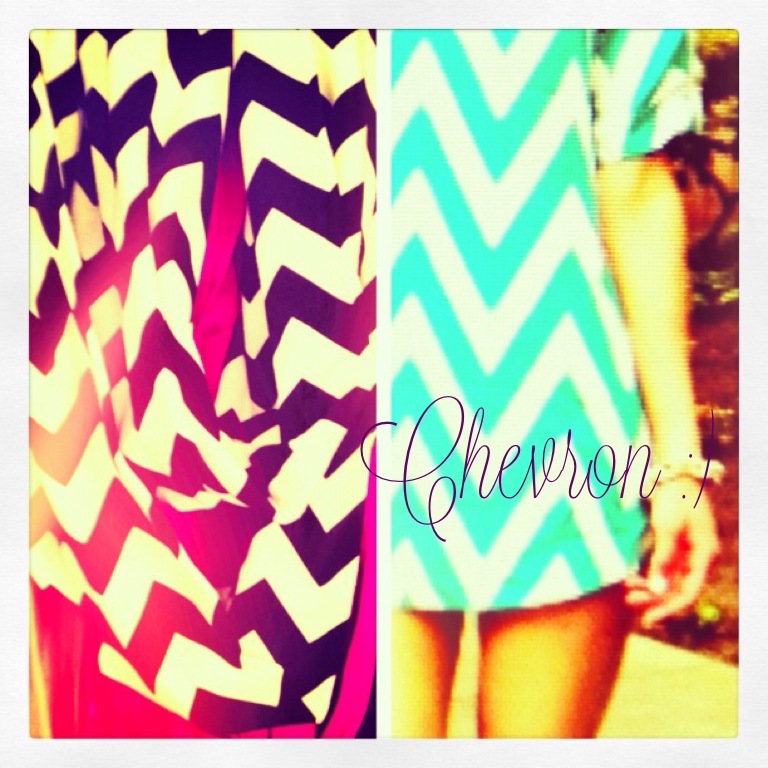 I don’t know what it is about this pattern, but I’ve always loved it. I bought a scarf a few weeks back, and I just bought the same print in a dress. Seeing the print just makes me happy! 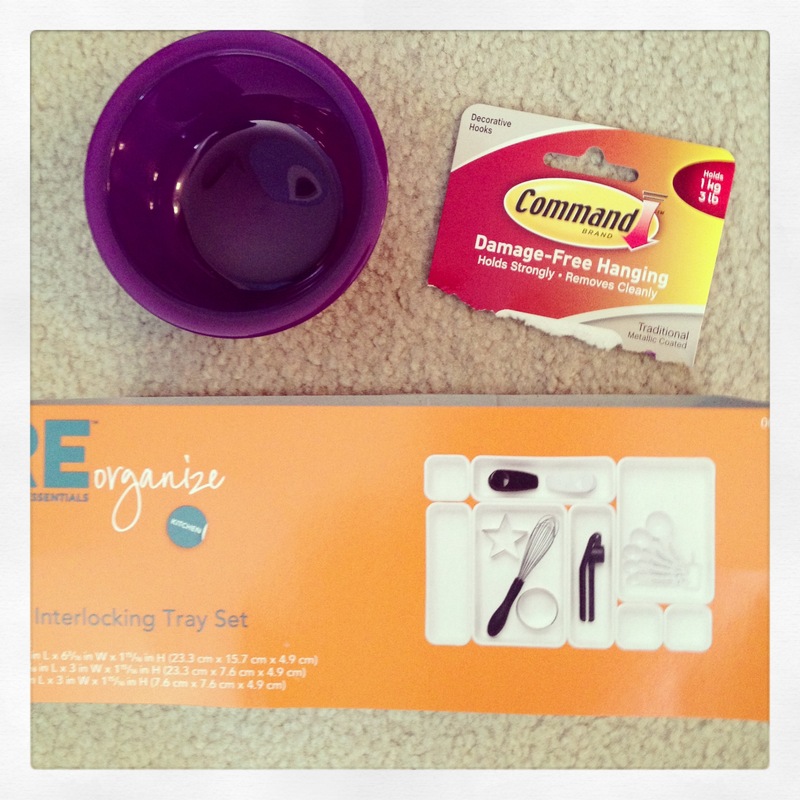 I started with these supplies below all from my beloved Target. I also used a paper towel holder, a magazine holder and some cork board covered in pattern scrapbook paper. First, I installed another shelf in my closet to gain extra storage space. It was a white shelf. 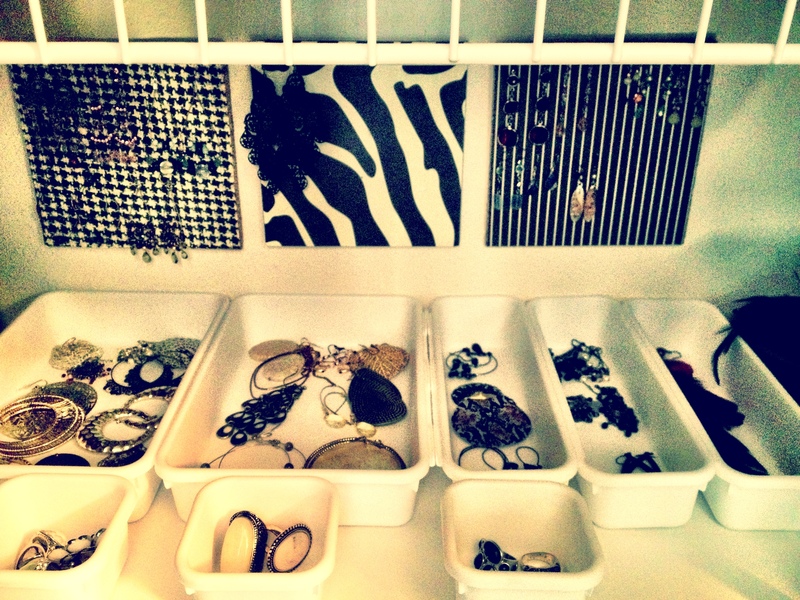 Then I organized all my earrings and rings by color (gold, silver, black, and colored) and put them in containers or on the wall. 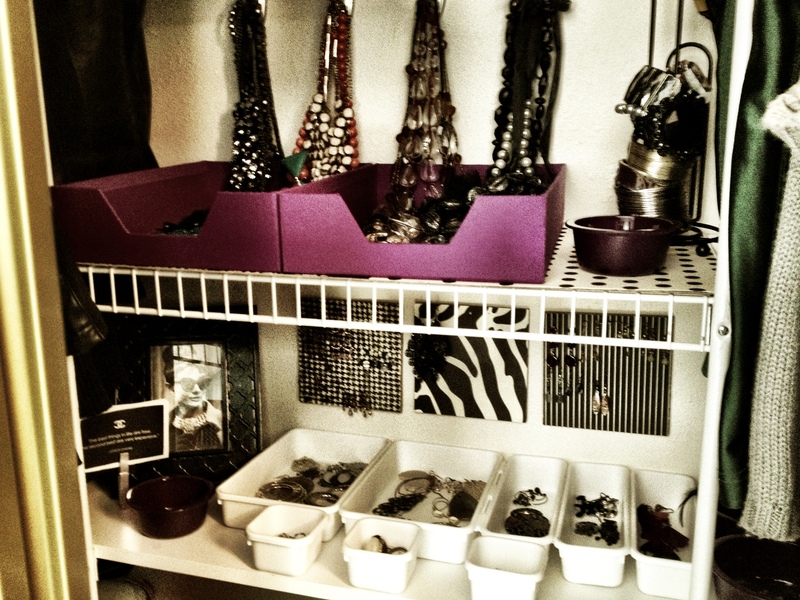 Next, I hung Command hooks and added my necklaces to the hooks and purple containers (I already had these). 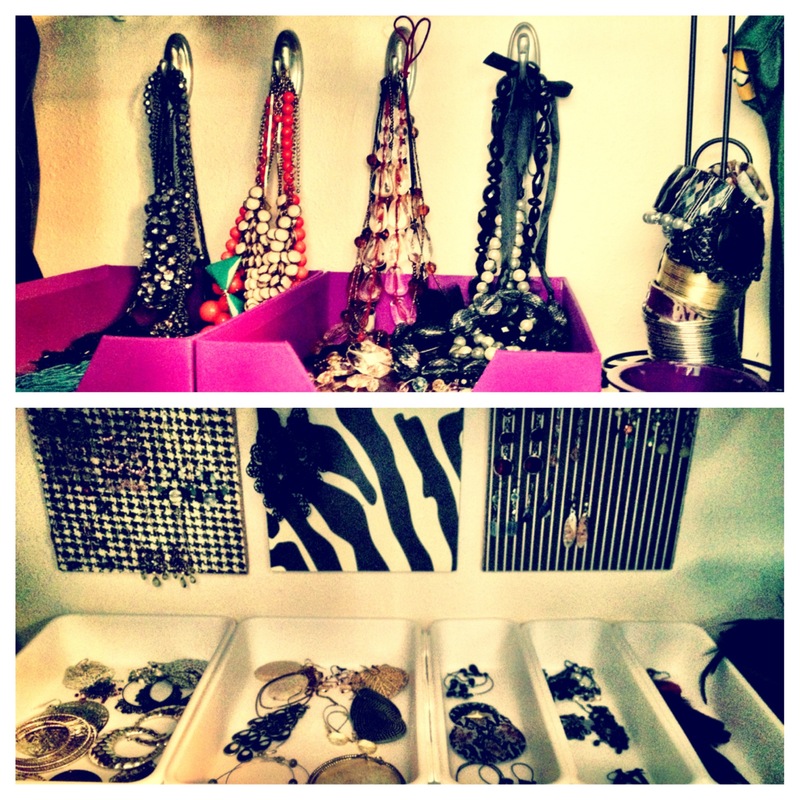 These were also organized by color, of course! 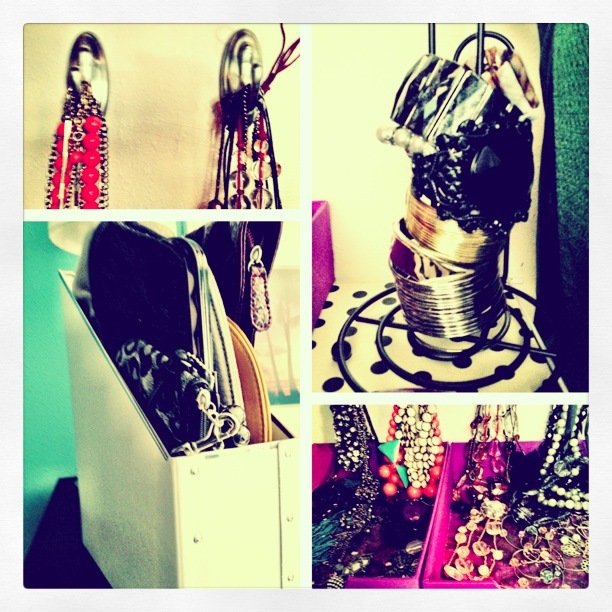 Then I added clutches to my magazine holder and bracelets to my paper towel holder. 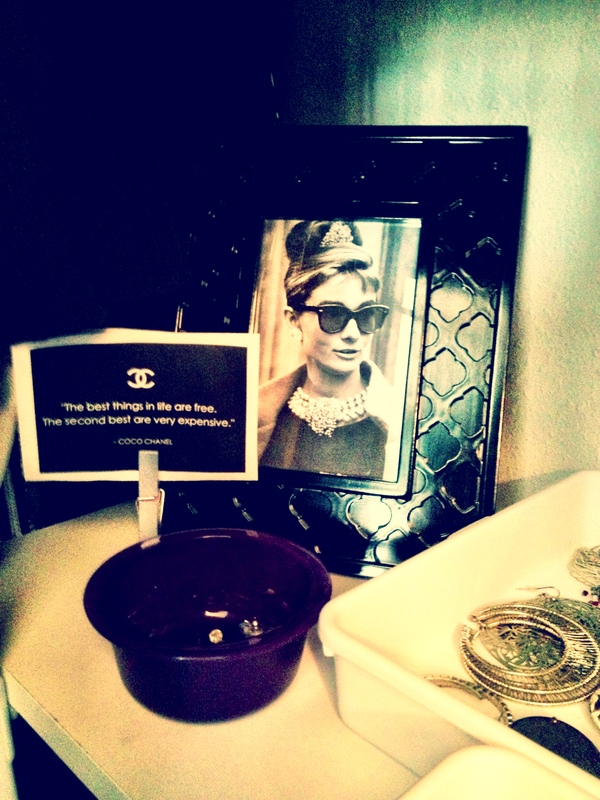 With the organization part done, it was time to add some inspiration and chic-something to always remind you to put on your best. 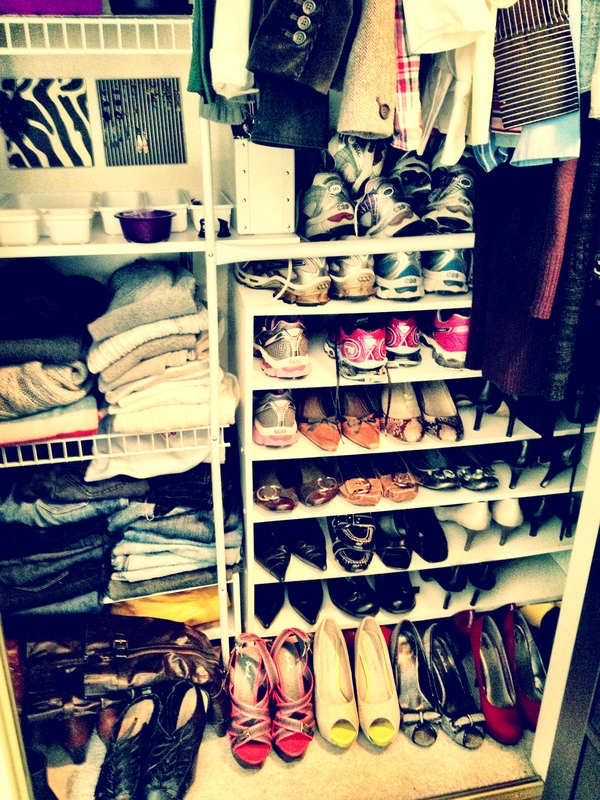 I also organized my shoes and sweaters, too! This little project might have taken me most the day (and I only organized half of it-the other side was good to go), but I am so happy to have an organized closet and extra space in my dresser. 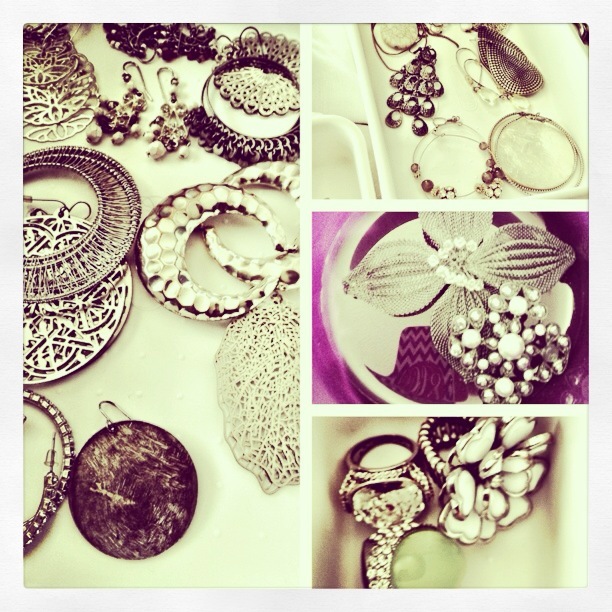 I also “found” jewelry and clothes I’d forgotten I owned. Yeah, for shopping my closet and now being able to see all my stuff! Being organized always puts me in a happy, jump-up-and-down mood, well, that and Captain and Diet Cokes, but those don’t lead to organization! What spring cleaning projects do you have planned? Happy Spring Cleaning and Easter to you all!